He was Professor Emeritus at the University of Saskatchewan. Dr. Morton’s earlier interest was in church and mediaeval history as well as the development of the Canadian West. 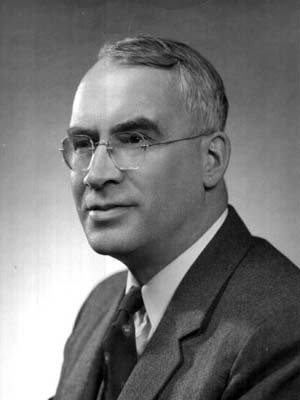 As joint author with Chester Martin, he produced in 1938 The History of Prairie Settlement, the second volume in the series Canadian Frontiers of Settlement. It describes the story of settlement and agriculture on the prairies from fur-trading days until 1925. He also wrote History of the Canadian West to 1870-71 where in one volume we have the chief attempt that has yet been made to deal with the subject as a whole. No one could have written this book who did not know the geography of the country at first hand. Nor could it have been written save by one who could connect human action with geography and topography. To all students of Canadian history it is a source of gratification that his own Province of Saskatchewan has entrusted him with the care and organization of its Archives. This official action will serve not only its main purpose but will also, we may expect, enable Dr. Morton to extend yet further the knowledge of the particular area of Canada upon which his studies have already thrown illumination.